Open gates of paradise. Ladder into clouds. Degree in sky. Red carpet for ascent into paradise. 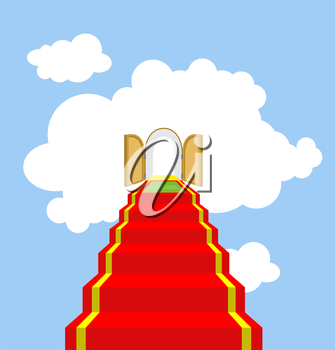 Vector illustration of God's ladder. Acent to God, to Jesus.